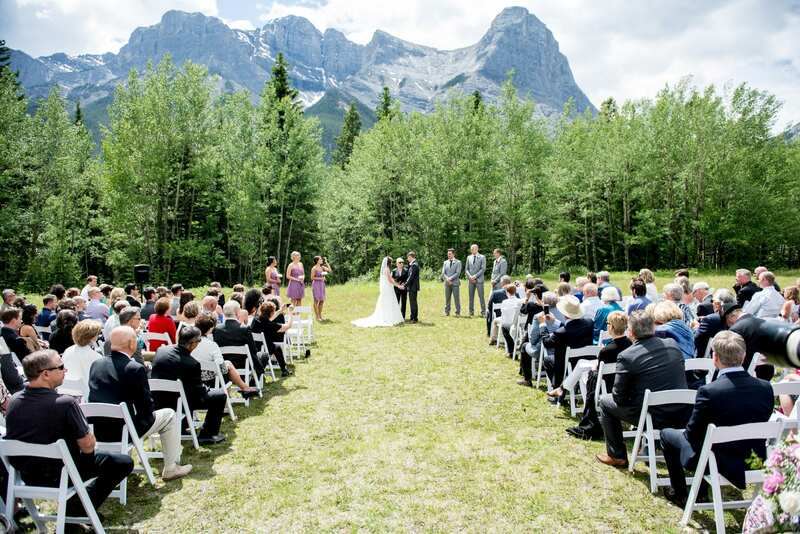 Popular Outdoor Wedding Ceremony Sites Canmore: What You Need to Know! Planning to take advantage of the stunning natural scenery that surrounds Canmore and the Rocky Mountains with an outdoor ceremony? Cornerstone Weddings can help! There are plenty of fresh air venues to highlight your big day. 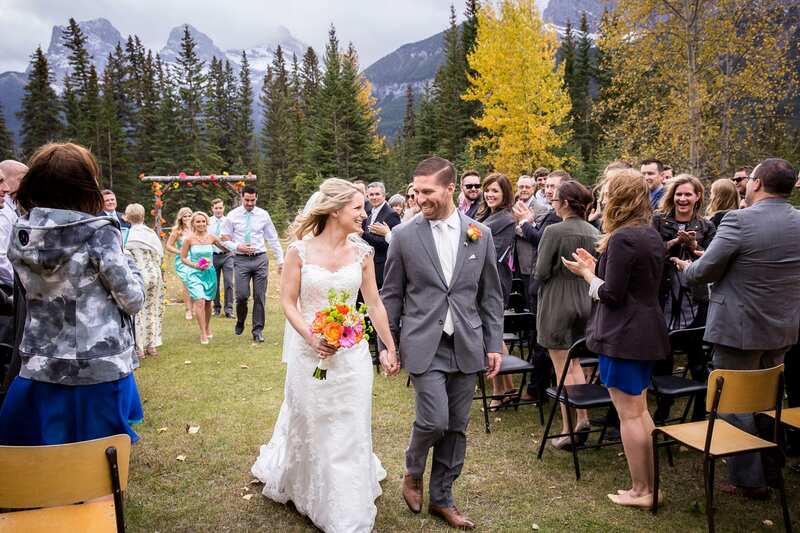 We’d like to highlight three popular outdoor ceremony sites in Canmore, including one that is exclusive to Cornerstone Theatre for 2019! Read on to learn where you can say “I do” under the splendor of the Albertan landscape. The team at Cornerstone Theatre is thrilled to announce that we will be the exclusive wedding ceremony provider for the Canmore Ranch in 2019! 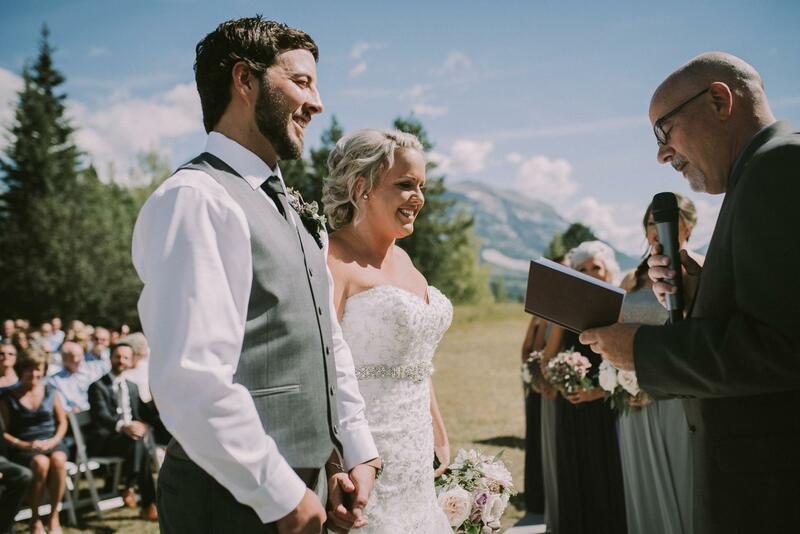 Located just a two minute drive from the Theatre, the Canmore Ranch is a private facility, suitable for weddings of up to 200 people, that offers gorgeous mountain views in a secluded tree lined setting. The venue includes full service bathrooms, with ample parking for your wedding party as well as your guests. Canmore Ranch also offers the choice of 2 archways to frame your pictures and ensure you don’t have to bring one yourself. As the location is exclusive, you can extend your regular 3 hour booking and include lawn games, appetizers and drinks to your guests while you and your bridal party take photos. Ask Cornerstone Weddings for further details. 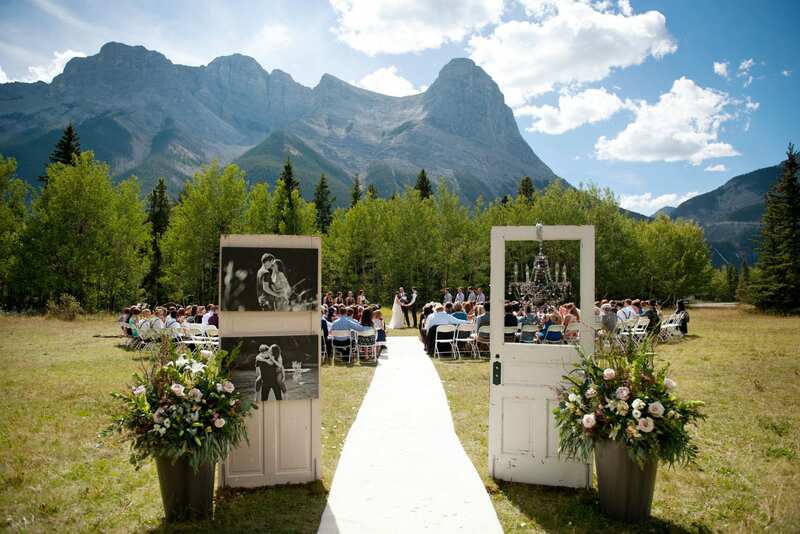 Add a little Authentic Alberta flare to your big day, all with a picturesque backdrop. Book a viewing, date and 3 hour time slot through Cornerstone Weddings only. Rundleview Parkette is a relatively unknown gem suitable for ceremonies up to 200 guests and is definitely a Cornerstone favourite. The semi-private grassy area overlooks the town of Canmore, and is lined by trees to give an intimate and secluded feel to your ceremony while also offering some shade in the hot summer months. Rundleview Parkette has road side parking so is great for families and guests with any mobility issues. Rundleview will treat you and your guests to stunning mountain views, and is located right across the street from Quarry Lake. Contact the Town of Canmore to secure your date and 3 hour time slot – we suggest 12pm-3pm. Close to Rundleview and boasting spectacular views of the Three Sisters, Quarry Lake offers couples a more open landscape for their I Dos’. Quarry Lake can accommodate weddings of up to 200 guests. It is worth noting that the Quarry Lake location does have a 300 metre slope to walk up and it is open to the elements should it be a windy or hot day. Learn more about how Cornerstone can help your big day become a reality by contacting our team now!